On Tuesday, January 23rd the Ontario Civilian Police Commission (OCPC) gave its final blessing to the town’s decision to transition to OPP. The February 8th transition date can now proceed as planned. 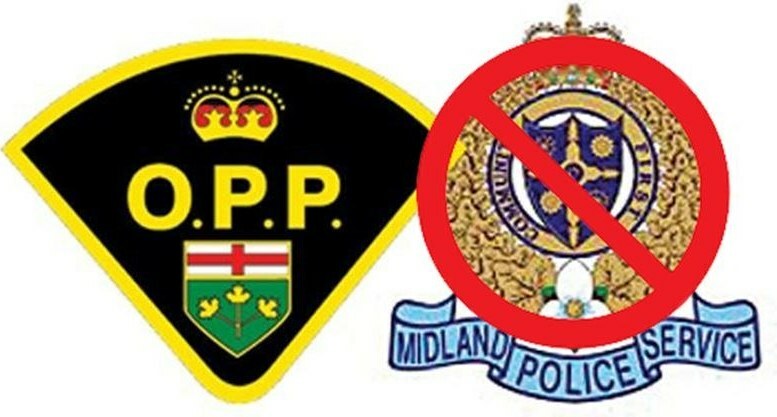 On or around this date, all Midland police personnel who accept positions with OPP will enjoy four weeks of comprehensive training at the Police College, and existing OPP staff will police Midland while those personnel are absent. You may recall that we recently advised our readers that the Town was granted ‘conditional’ approval to transition to the OPP, as there remained some unresolved matters with respect to the employment contracts and their stated obligations. With this final ruling, the OCPC is completely satisfied that any outstanding employment matters will be handled in a finite way by submitting all unresolved issues to a process called binding arbitration. In simple terms, a qualified, independent third party will be appointed and she/he will decide on those matters the employees and the Police Service Board (PSB) failed to agree on. It has been 4½ months since September 6th, when Council decided to transition to OPP, so at this point the arbitration route is likely the best way to conclude discussions in a reasonable timeframe. This judgment eliminates much of the uncertainty that accompanies change of this magnitude for both the valued employees of MPS and for the people of Midland. Delaying the outcome any further made little sense, as this would simply prolong the insecurity of those employees involved. Knowing who your employer is, the scheduled date you commence your new job, and the date you receive training are fundamental concepts when looking at career changes of this magnitude. Everyone vested in the transition can now get on with their lives while preserving the concept of “Adequate and Effective Policing” for the people of Midland. As previously reported, midlandcommunity.ca is aware that every contract has a disbandment clause, as the likelihood of a switch to OPP was contemplated years ago. Those involved in negotiations at the time recognized the fact that our ‘small and mighty police force’ was at risk from a sustainability point of view. So to be clear, all employees have contracts that describe a compensation framework for transitioning and displaced employees. Whatever details remain outstanding should be simple concepts for all parties to solve within the context of this existing framework. In closing, many of our uniformed officers will be the same familiar faces, with enhanced state of the art training, driving different vehicles while sporting a different uniform. Thank you Midland Police Service members for your continued dedication and continued support. Be the first to comment on "MPS-OCC OCPC Update"